Two weeks ago we asked you to find a camouflaged bird. This week, let us know how many birds you see in the photo, and what they are. If you were on last month's Harrier Meadow walk, you have a leg up. 3 killdeer and 1 canada goose. 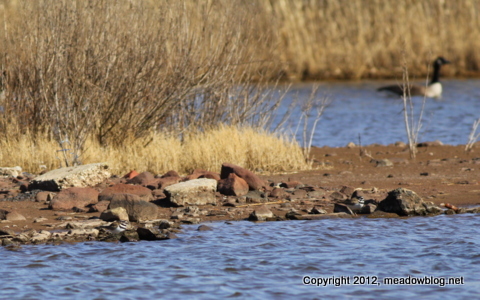 I see two killdeer along the waterline and one goose in the background.